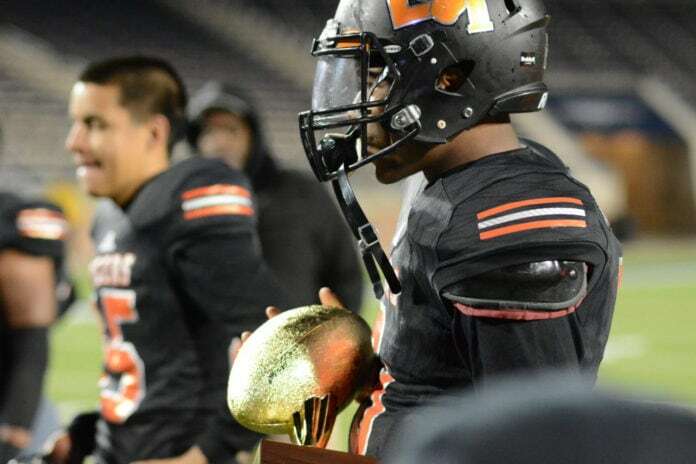 LANCASTER—The round 5 match-up between Mesquite Poteet and Lancaster is going to be interesting. The 5A Division II regional championship game will take place Friday at 7:30 p.m. at Midlothian ISD Stadium. Historically, Lancaster and Poteet have faced off 17 times since 1992. The Tigers have walked away with 58 percent of the wins. In fact, Lancaster has defeated Poteet in the last four meetings. Fast forward to this weekend’s match-up: with Poteet facing injures and Lancaster battling fatigue after 10 games, it is definitely going to be a battle of wills. We are seeing a number of playoff games being settled in the final minutes of play. The same was true Friday night when the Tigers edged a 27-20 victory over the Wylie East Raiders. Four minutes left in a tied game, Tigers are 4th and 5 on the Wylie East 13 yard line. What do you do? Despite a number of drops and penalties Lancaster coach Chris Gilbert had faith in Wide Receiver Omar Manning. And that faith manifested in a 8 yard pass from Trevor Hatton for the first down. 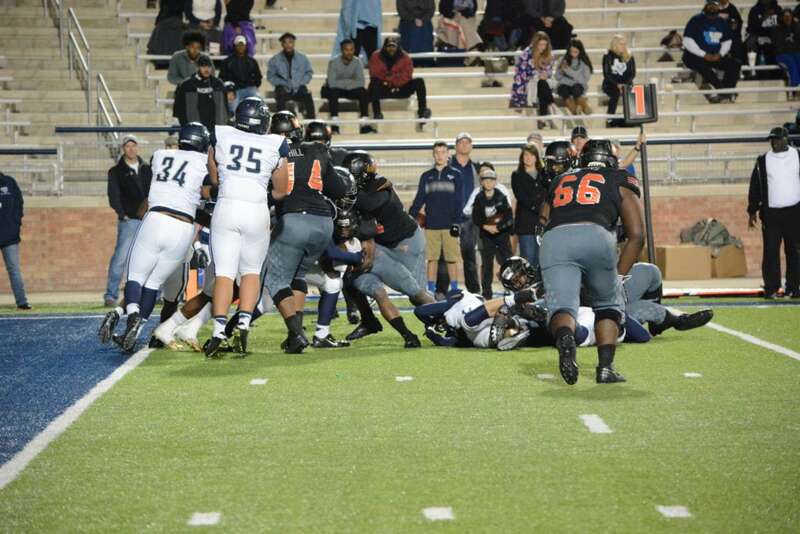 Now on the five yard line Demadric Williams rushed twice against the almost impenetrable Wylie goal line defense. After a recovered fumble on the quarterback option, Williams finally pressed across the goal line with 2 minutes remaining. The Tigers would hold the 27-20 lead for the rest of the game. Wylie East’s top ranked running back Eno Benjamin had a standout game. He threw for 117 and ran for 175. On all three touchdown drives he threw a long completion. The one score loss notwithstanding, the Raiders made an impressive area playoffs debut. Prior to 2016 Wylie East never progressed past the third round. Even without Navy commit Josh Johnson at cornerback and Daiquan Jackson at running back, Poteet could pull an upset. Last week against South Oak Cliff the combination of Quarterback Kaleb Fletcher and Cha Cha Corbin at wide receiver proved too much for the Golden Bears. The win against South Oak Cliff was a costly one. Early in the first quarter defensive back Josh Johnson suffered a broken leg, ending his varsity career. Jackson suffered an ankle injury in the third quarter and did not return nor did starting lineman John Deville. Throughout the season Johnson has played a large role on offense. After his injury, Poteet Head Coach Kody Groves has to make some quick adjustments. Corbin had to step up as the Pirates leaned more on their passing game. Friday Corbin gained 198 yards on 10 receptions and four touchdowns, in the Pirates 45-37 win. The winner of Friday’s game will go on to the 5A Division II Semifinals and face the winner of the Region I Champion. Boswell vs. Aledo are facing off in the second game of the playoffs double header being played that same night at AT&T Stadium.